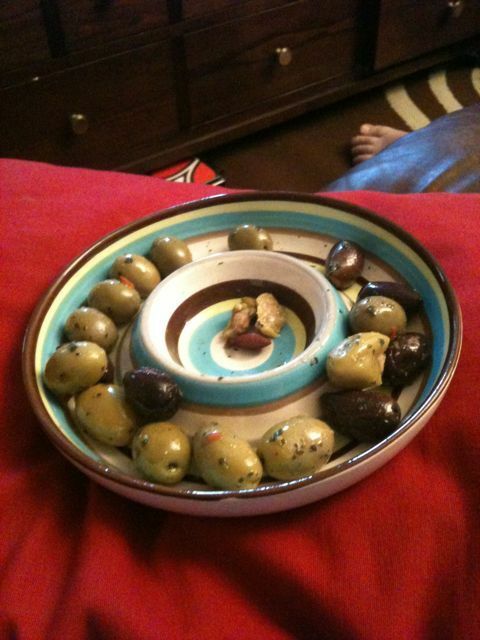 I got a present today, a new olive bowl. It’s beautiful and provides me with nommy olives too! Dave said I should have taken a picture when it was clean! But I was too excited.